Google has shut down its URL shortenerservicegoo.gl from April 13th, 2018 and has recommended users to use app-based Firebase Dynamic Links (FDL) or other comparable services like Bit.ly and Ow.ly. Firebase Dynamic Links are links or smart URLs that can work the way you want on multiple platforms such as iOS, Android or web platform whether your app is already installed or not. Once your dynamic link is opened on Android or iOS, it is redirected to the linked content on your app. The internet users who have never used goo.gl service prior to April 13, 2018, won’t be able to create new short links through this console. If you want to create new short links, you can use popular services like Bitly and Ow.ly. Do you have already existing goo.gl short links? If yes, then you can use all features of the goo.gl console for a period of one year until the discontinuation of the console that is March 30, 2019. Until then you’ll be able to see all your shortened links and their analytics data on the goo.gl console. Onwards March 30, 2019, all links will be redirected to the intended destination. However, your links from goo.gl won’t be automatically migrated to the Firebase console; you have to transfer your links profile manually. The projects that have accessed URL Shortener APIs before May 30, 2018, can only create short links. If they want to create new short links, they have to use FDL APIs. FDL short links will automatically detect the user’s platform and send the user to the web or to your app whichever is appropriate. 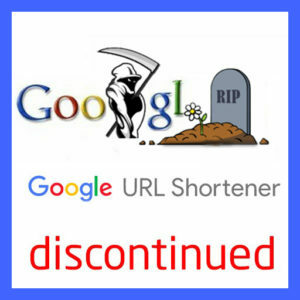 If you have already using URL Shortener APIs to manage goo.gl short links, you are entitled to avail all of the features till the discontinuation of the service that is March 30, 2019. Those developers who want to migrate to FDL should follow our migration guide. All the links will be redirected to the intended destination after March 30, 2019. However, previous short links will not be automatically migrated to the Firebase console/API, you will have to export your link profiles from the goo.gl console. 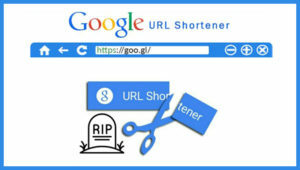 According to Google, URL Shortener is a great tool and they are proud to have developed such a tool. For your kind info, Google had launched URL Shortener in 2009 to help people in sharing links and measuring traffic online easily. Since then many URL shortening services have emerged. Many Bit.ly is way better than Goo.gl because it has extensive options and advanced features. The interface is tailor-made, that’s because it fetches smarter Analytics, allows using a custom short domain of your choice, login is not needed, and Add-ons and plugins for popular services and software along with brilliant sharing. When it comes to Ow.ly link shortener, this is free of charge but you have to create a Hootsuite account to use it. Of course, it’s a great tool for the people who want to see various reports for the links created.